A Tokyo area bank has begun installing devices that jam cell phone signals in order to prevent elderly citizens from becoming victims of phone fraud. Swindlers have been targeting seniors, telling them to go to the bank and all the while stay on the line while withdrawing money at cash dispensers. 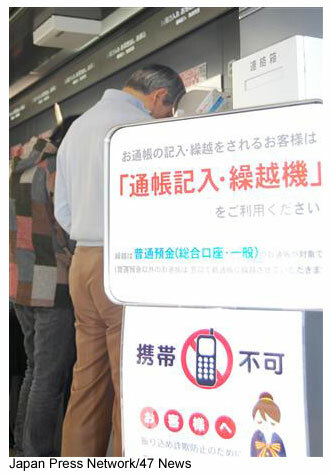 Now a Chiba prefecture bank is the first to use mobile-phone signal blockers near its ATMs. Read more and see the news video.